Art of Psychiatry Society speaker meeting Thursday 17 March 2016 6pm IoPPN “Agnes Martin: her Art and Life” with Dr Lena Fritsch. All welcome! Seminar room 1 Institute of Psychiatry, Psychology and Neuroscience, Denmark Hill. Please join us for a speaker meeting about American abstract artist Agnes Martin, recently the subject of a Tate Modern retrospective. We’re very pleased that Dr Lena Fritsch, Tate Modern Assistant curator will be our speaker guest. Agnes Martin (1912–2004) was an American abstract painter. She was born in Canada but lived most of her life in the United States. She is best known for her meticulously rendered grid paintings and evocative stripes paintings marked out in subtle pencil lines and pale colour washes. Her art and way of living had a significant influence on her own, and subsequent generations of artists. After becoming a key figure in the male-dominated fields of 1950s and 1960s abstraction in New York, Martin abandoned the city in 1967 and went in search of solitude, settling in New Mexico. Martin suffered from schizophrenia throughout her adult life. Working within tightly prescribed limits that she imposed on her own practice Martin was able to continue to make extraordinary paintings until her death in 2004. Dr. Lena Fritsch is Assistant Curator at Tate Modern, working on exhibitions (most recently Agnes Martin), displays and acquisitions of international art with a special focus on the Asia-Pacific region. Fritsch studied art history, Japanese studies and English studies at Bonn University, Germany as well as Keio University, Tokyo. She completed a PhD in 2010 with a thesis on Japanese photography (The Body as a Screen: Japanese Art Photography of the 1990s, Georg Olms, Hildesheim 2011). Before joining Tate Modern in 2013, she worked at the Directorate General of the Staatliche Museen zu Berlin and the Hamburger Bahnhof – Museum of Contemporary Art, Berlin. Most recent publications include: ‘The Floating Dresses of Hiroshima: War Memory in Ishiuchi Miyako’s Photography’, in Ayelet Zohar (ed. ): Beyond Hiroshima: The Return of the Suppressed, Genia Schreiber University Art Gallery, Tel Aviv 2015; ‘Well, I sit here and wait to be inspired: Photographs of Agnes Martin’ in Frances Morris (ed. 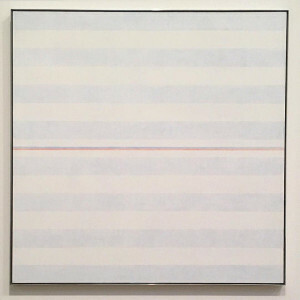 ), Agnes Martin, Tate Modern, London 2015; ‘Von dunkler Dekadenz und christlicher Mystik: Verbindungen zwischen Geoffrey Hills Gedicht “A Pre-Raphaelite Notebook” und präraffaelitischen Bildern [Dark Decadence and Christian Mysticism: Relationships Between Geoffrey Hill’s Poem “A Pre-Raphaelite Notebook” and Pre-Raphaelite Paintings]’, in Susanne Gramatzki and Renate Kroll (eds. ), Wie Texte und Bilder zusammenfinden, Berlin 2015.